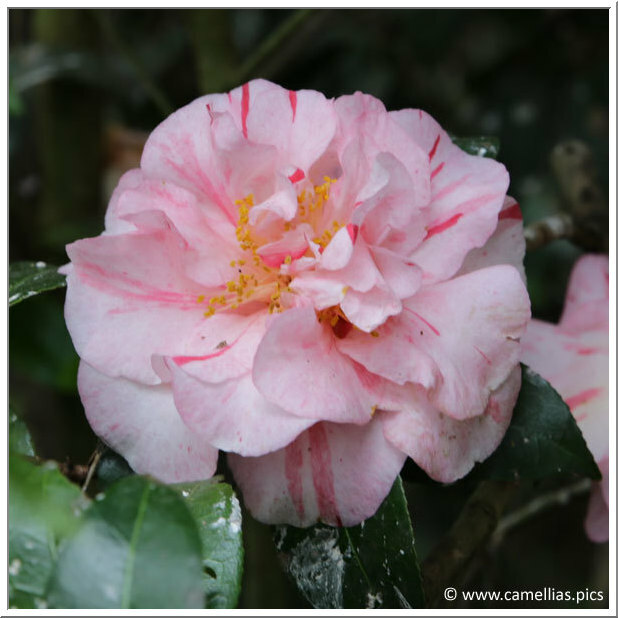 The Parc Floral de Paris is another very beautiful garden to visit all the year and not only for its very pretty collection of camellias. 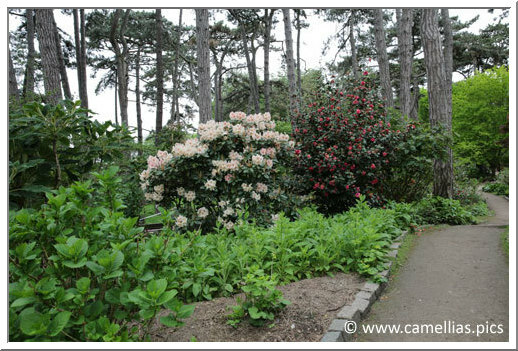 It is located near the Vincennes wood (metro station "Château de Vincennes"). 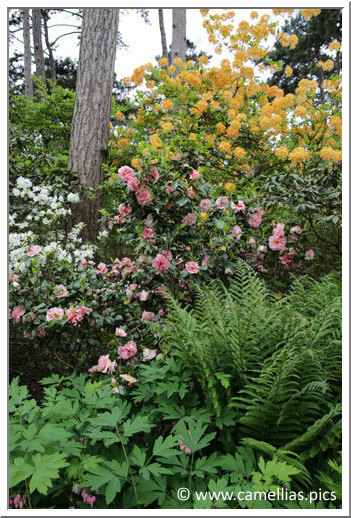 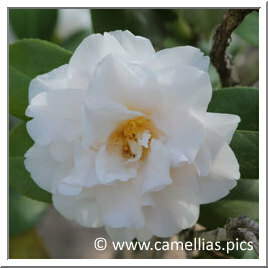 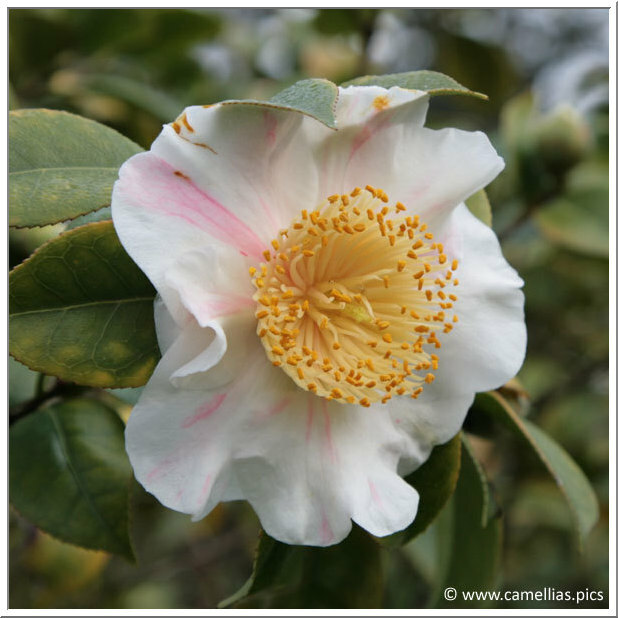 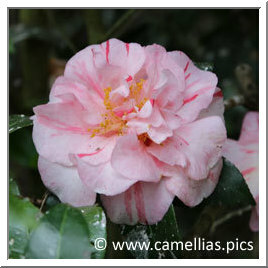 I can go there as often as I wish and follow the camellias throughout the flowering season (ie from October to May). 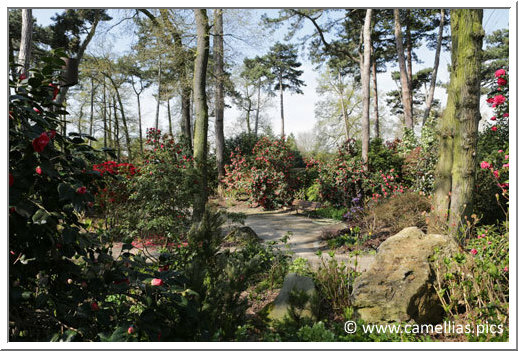 It is rather recent, arranged in 1969, on a total surface of 35 ha. 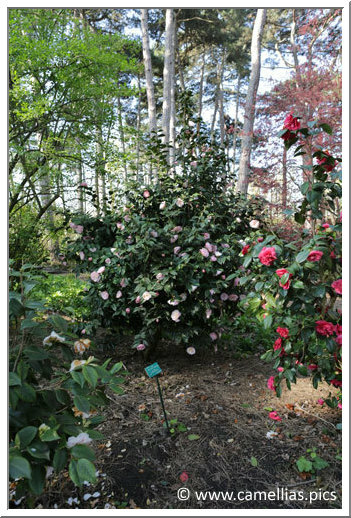 It is a good manner to discover the camellias in Paris area. 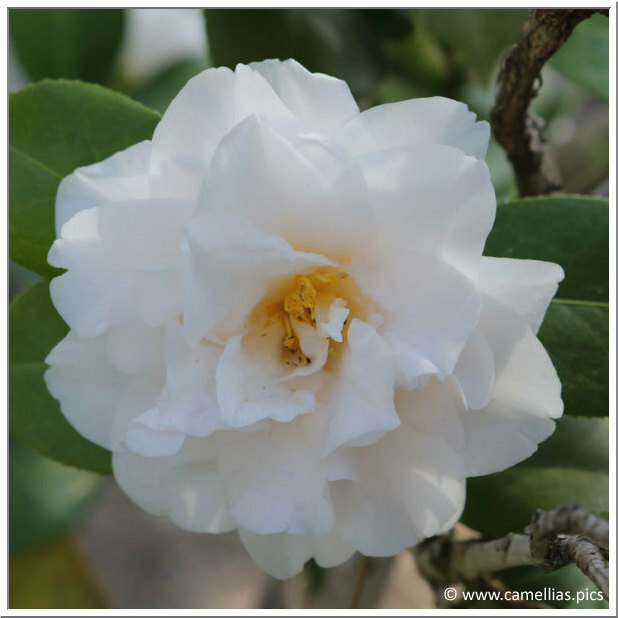 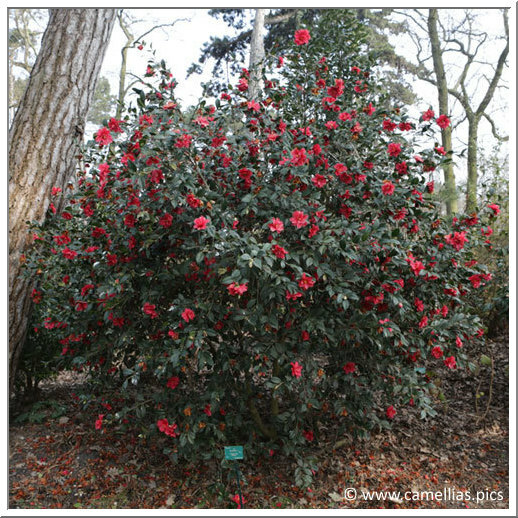 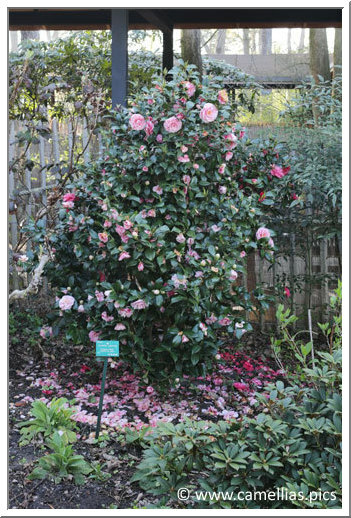 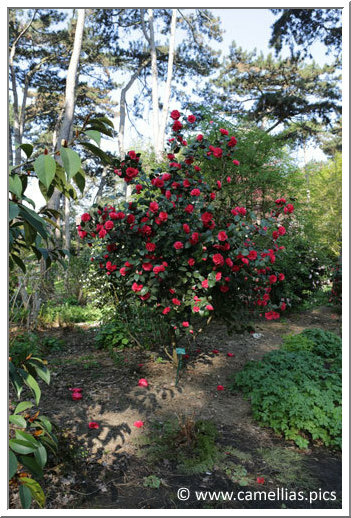 The collection has 235 camellias, the cultivars are numerous and in big number, even if they only represent a small portions of the pantations in the Parc. 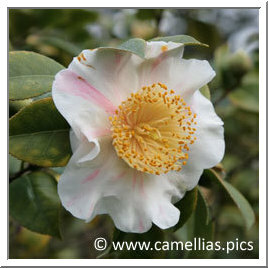 You can find species, japonica, hybrids, sasanqua and Higos. 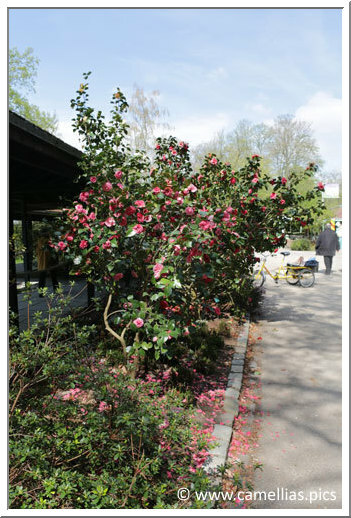 The collection has undergone major work in 2007. 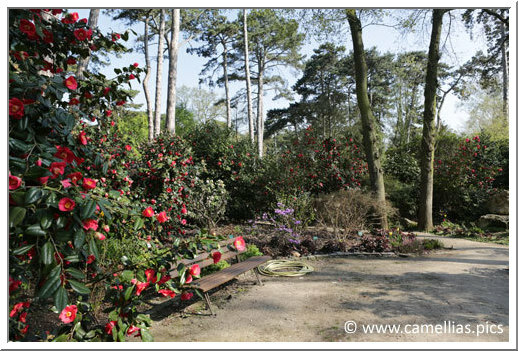 A portion was moved and replanted in the existing camellia sector and in the 'Grande Pinède' sector, in the midst of other heathland plants. 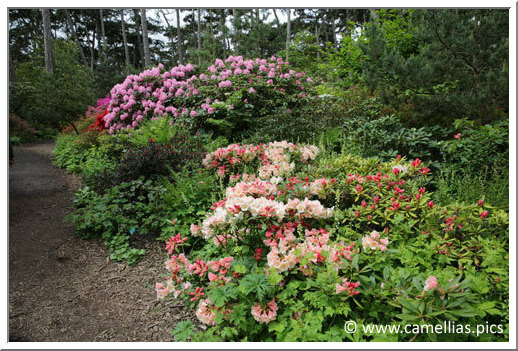 There are large subjects, it is necessary to consider the age of the park to enjoy their size. 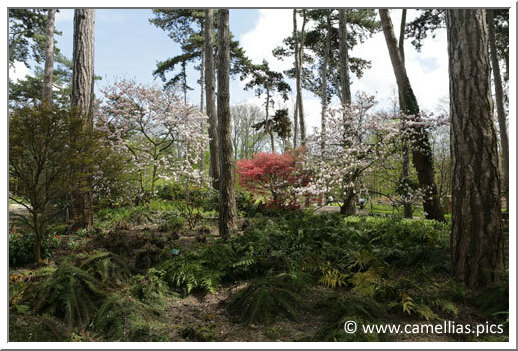 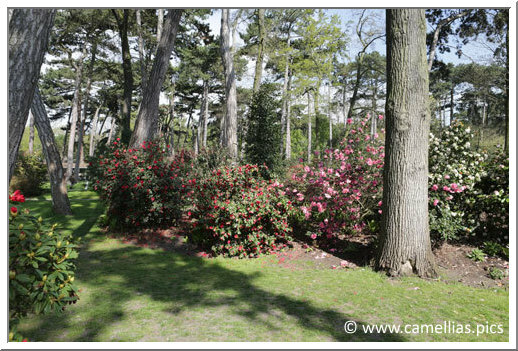 Do not hesitate to visit the Parc at the end of the camellia season, you will also admire the magnolias and azaleas. 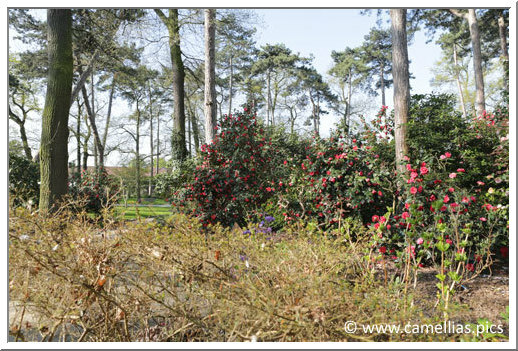 The collection of the Park is very rich. 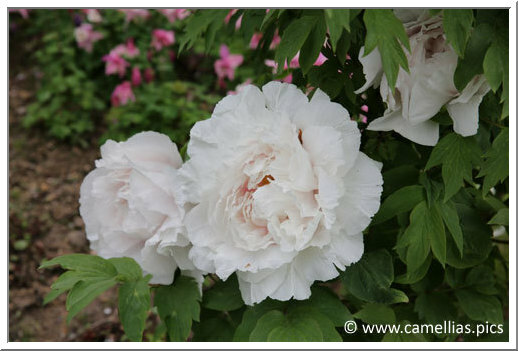 Peonies collection is also remarkable, with rare subjects. 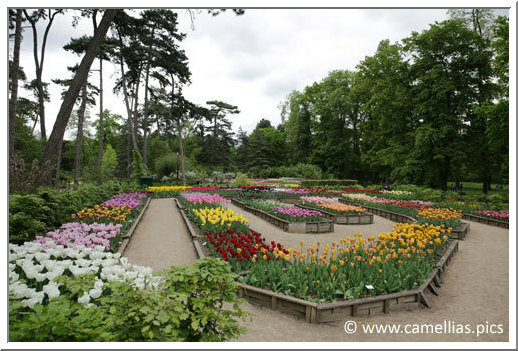 The tulip expostion is also worth a visit. 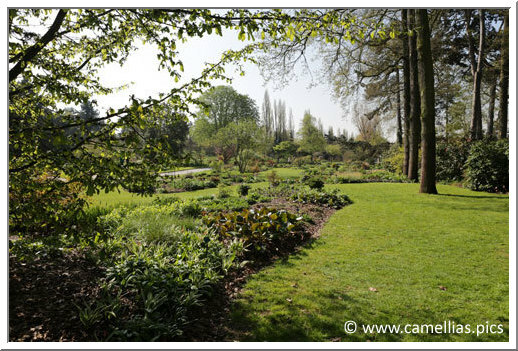 Here is a link to the Parc Floral website.